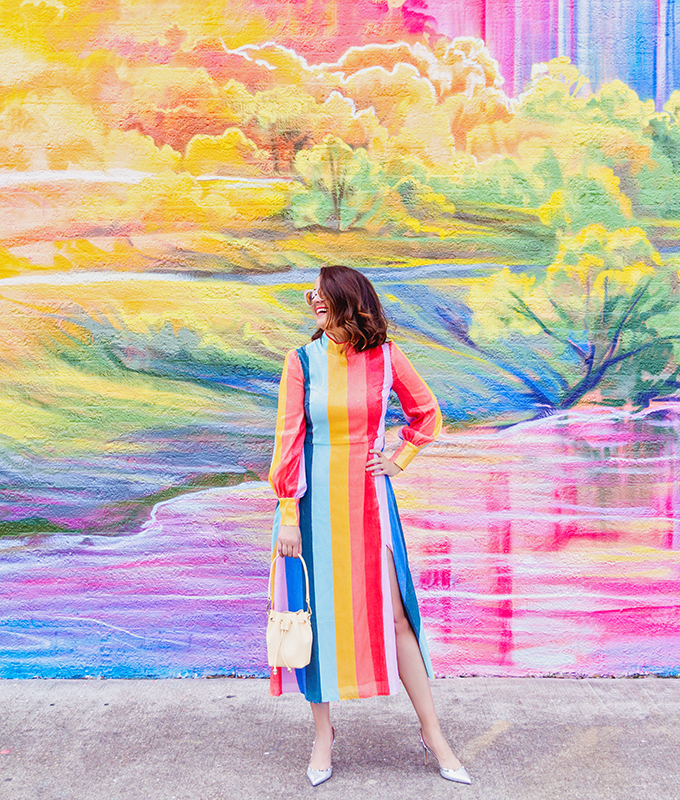 Subtlety is overrated! 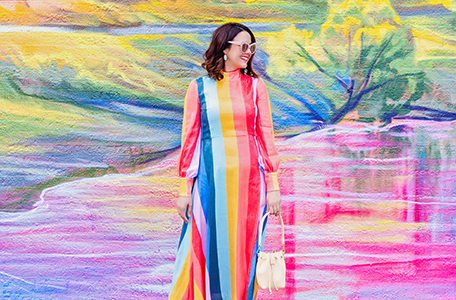 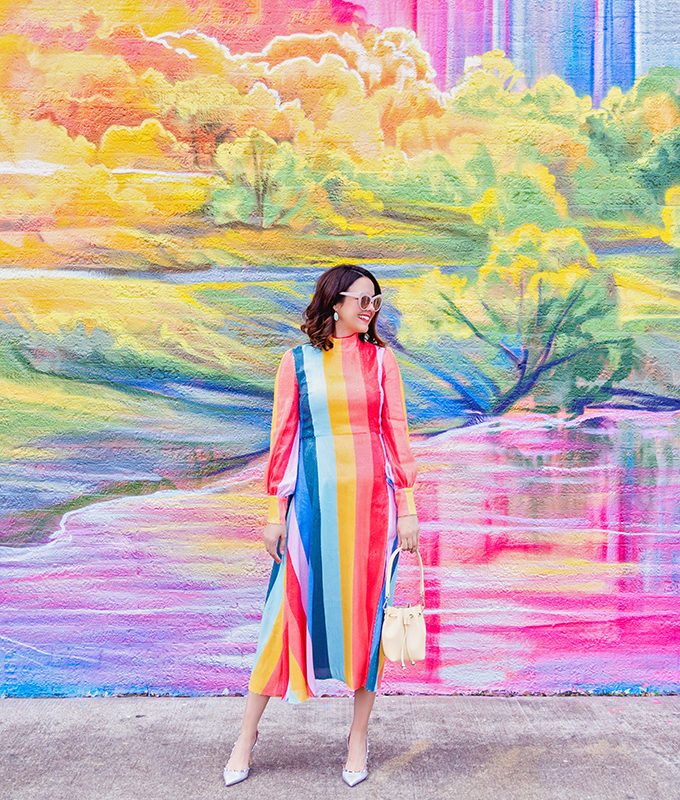 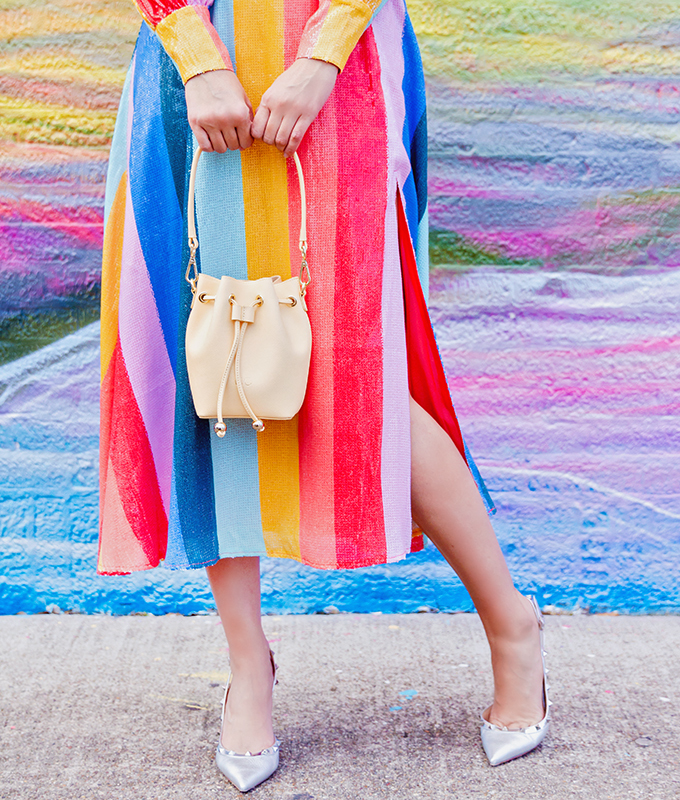 Be bold with a rainbow midi sequin dress. 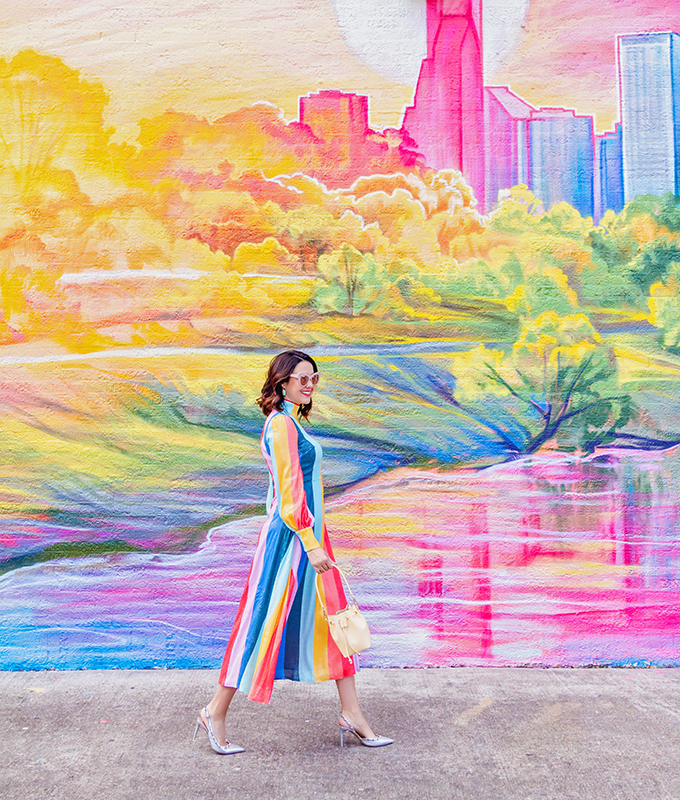 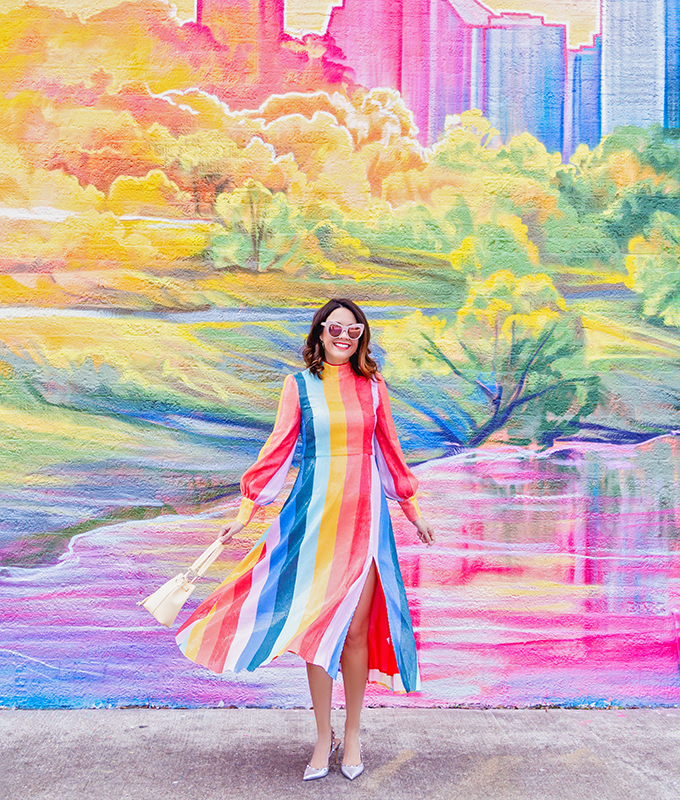 For details on this wall, be sure to check out our Houston Mural Guide (Wall #104).